Nestled against the Madison Range and sitting 750± feet above the Madison River Valley floor sits the Shedhorn Ranch. The awe-inspiring 360-degree views of the surrounding mountain ranges and Madison River Valley literally take your breath away. 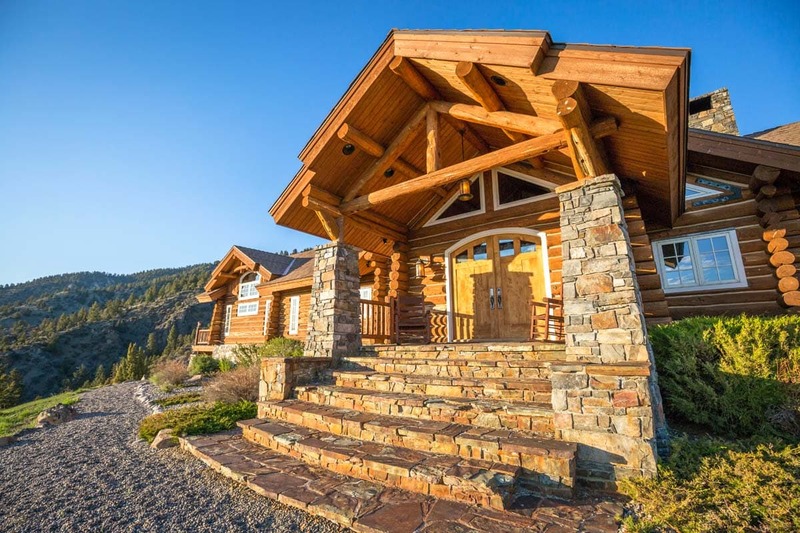 The ranch encompasses 95± majestic acres and boasts a 5 bedroom, 5 bathroom, 7,500± SF custom-built log home; nothing like you have ever seen before. Located just 15± minutes from Ennis, Montana the property location is hard to beat for recreational enthusiasts. Fish the small stream of Jack Creek on the property, or drive less than 10 minutes to the famous Madison River for the current hatch. Winter and ski enthusiast will also not be disappointed, as the ranch is being sold with private access up Jack Creek road to access Big Sky Resort, Spanish Peaks Resort and the Yellowstone Club. The property is only 19± miles from the Six Shooter lift at Moonlight Basin/Big Sky resort and the Jack Nicklaus Signature Golf Course at Moonlight Basin. Hikes, excellent hunting, horseback riding and wildlife viewing off the back porch and other recreational pursuits abound, as the ranch is very close to the Lee Metcalf Wilderness area. The ranch is filled with grassy cover and scattered mature trees, creating an excellent habitat for the Hungarian partridge, elk and deer that call the property home. From the comfort of your back porch, watch mountain goats and bighorn sheep climbing the hillside or the hundreds of elk and deer that traverse right through this property to access the irrigated valley floor. This is a rare opportunity to own a gorgeous piece of land and spectacular custom home with some of the most staggering views in the picturesque Madison Valley. Shedhorn Ranch, Ennis Montana from Fay Ranches on Vimeo. Private Jack Creek Road access to Big Sky Resort, Spanish Peaks Resort and the Yellowstone Club.